Many people view Jack Dangermond as the face of commercial GIS, if not the face of GIS as a whole. As the internationally recognized and celebrated leader of Esri, he has led the company from humble beginnings to a leadership role in the GIS industry and community. 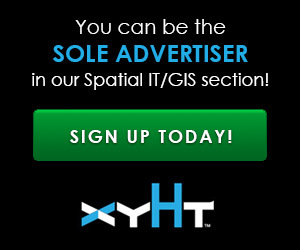 xyHt recently asked Jack for his views on surveying, standards, openness, geodesign, and what developments geospatial professionals should be keeping an eye on. I’ve heard you say in several speeches that you really like surveying. Could you elaborate on how you formed that affinity? As a young landscape architecture student, I took a year of surveying classes and really liked it. This introduced me to the surveying profession and gave me a strong understanding of the discipline. Today, I appreciate the work of surveyors because they play a major role in providing foundational infrastructure for making GIS work. Their work provides the fundamental reference system for integrating all other GIS data sets. Clearly the efforts of surveyors are closely aligned with the interests and passions of GIS professionals. For many years, I have felt that surveyors should embrace GIS more closely. I am encouraged to see recently that using GIS is becoming more popular, especially among younger survey professionals. This will offer many opportunities for the field in both public- and private-sector organizations. I’m from an AEC background, and as far back as I can remember engineering design has always sought to incorporate as much information as possible, from built and natural systems, stakeholder considerations, and asset/resource management systems. Is the geodesign movement a fresh take on those ideals? Or is it simply timely to re-emphasize those ideals now that the tools and resources are so much richer and accessible? Geodesign is both an old idea and new idea. It dates back to when designers considered carefully the factors of nature in making their engineering and planning decisions. With the emergence of GIS we have seen the automation of both our natural and cultural world into GIS databases. This has made huge contributions to the understanding of the patterns and relationships of geography. It has also provided us a practical means for making maps that apply this knowledge and help us in a whole range of human activities such as land use planning, environmental conservation, and even community development. Geodesign involves taking the next step. It extends GIS technology in such a way that it can directly support the design process common in engineering, planning, and development. Fundamentally, it involves the ability to rapidly create, via sketching, alternative plans and quickly evaluate the consequences of these plans. Designers typically create alternates and then evaluate them in some way. This pertains to many scales of work, from designing a garden, laying out a civil engineering project or even developing an urban design or plan for a city. Geodesign incorporates geographic factors (into layers) into the design process. It allows the quick creation of alternative 2D and 3D designs and provides data that helps in understanding of the consequences of these alternatives. Carl Steinitz’ book on geodesign is perhaps the fundamental text that defines this methodology more fully, and I recommend it to your readers. It builds on modern concepts of GIS and spatial analysis and clearly defines these methodologies. Geodesign is the next step in GIS and will have significant implications for all geospatial professionals. You have said on many occasions that geospatial data and geospatial knowledge will grow exponentially, and most certainly it has, by orders of magnitude. With so much information available and growing, being utilized by so many, do you feel that it takes a mix of both commercial and open-source to fulfill all of the needs? If you are referring to open-sourced data, I clearly do. There is a heated discussion of the role of authoritative-source data versus crowd-sourced (open-sourced) datasets like Open Street Map. Clearly there are times open-sourced data can create problems and lead to conflicts. In my real experience, users understand the difference in quality and increasingly understand how to best use those data together with high-quality, survey-grade information. GIS can be helpful in both assessing and blending information from multiple sources to create information products that are appropriate. If you are referring to open-source software, I also [feel that it takes a mix]. The software world is changing rapidly. It is no longer proprietary vs. open source. Open-source software refers to two things, an engineering methodology and a business/licensing model. Esri is active in both. We use the GitHub framework for software development and are sharing a considerable amount of our technology with our users and the open source community. This is benefitting the whole community in certain areas like app development. We have purposely designed our software to be open and developer-friendly with open APIs and an open data portal for data sharing. There still remains confusion about open-source software being free. In some cases this is certainly the case, but for software that users want supported, this is not normally the case. Building and supporting enterprise software is costly, and supporting critical systems normally recognize this and want to buy some level of support whether it be open-source software or not. Geospatial professionals are usually quite aware of the need for suggested software in terms of short-and long-term support and sustainability. An old engineering joke goes, “Problem: 14 different standards. Solution: Create a universal standard. Result: 15 different standards.” There have always been earnest efforts to foster standardization; for example Europe has the INSPIRE initiative. Do you think that standards are best created by committee, or through a more organic process (e.g. a natural selection of sorts)? Do you feel that either of these approaches is particularly effective or is there a better way? Years ago, the CTO of Sun Microsystems said that real standards are products that ship in volume. This has certainly been the case in the IT world. He was referencing the fact that brilliant engineering in almost every field trumps committees who developed standards. Nevertheless, standards organizations are very important. While they are often problematic, political, and slow to make progress, they do have a role in ensuring open interoperability among systems. In our community, the OGC is our primary standards organization. They have yielded a whole family of standards that support interoperability among various geospatial systems. My personal issue is not about standards versus no standards; it is about well-engineered standards versus poorly engineered standards. If standards are poorly engineered, they are not costly—[they are] used and ultimately discarded. Conversely, brilliant ones are immediately understood and embraced by entire communities. Sometimes de facto industry standards that are well designed go much further and faster. One example of this was the Esri “shape file.” When we created and openly shared this data format it quickly received great acceptance in the marketplace. Esri is a long-term supporter of the OGC organization and supports more OGC standards than any other vendor. We believe in and support their process and have participated in and championed a number of standards. I would like to acknowledge all the volunteer efforts to make OGC work. These efforts are a very important to our field. Decades ago there were “typing pools”; today there are keyboards on every desktop (or tablet). Are the days of the centralized “GIS Department” numbered? Is GIS simply becoming an essential and standard tool and resource at all levels? Are the days of “Bring the data to the GIS” (as in geo-data specific warehouses) giving way to “bring the GIS to the data”? (e.g. spatial markers standard for all data elements)? These are all interesting questions. GIS is transforming and becoming available to a much larger audience. Nevertheless, the need for professional GIS people and business units that support these systems is expanding. 1. The geocentric workflow users where geodatabases and workflow-intensive activity for updating, maintaining, and using geographic data is the character. The skills necessary here are often associated with a GIS professional, people who really know about geospatial data and how to manage and apply it to complex workflows and applications. 2. The geo-enabled enterprise systems. This really means maps and geographic/location information provided as services into enterprise systems like ERP CRM business intelligence, etc. This “self-service” mapping and analytics capability is designed to support the knowledge workers in organizations, people who want to “apply” the power of geographic knowledge to their work. 3. Developer-based APIs and open-source community. This user base aspires to embed geodata and geoservices into various kinds of apps that reach everyone: citizens, students, and workers of all types. All of these can now be based on a common web GIS platform. What do you think will be the role of GIS professionals in the future? Like surveyors, the GIS profession is an essential profession. Their work involves integrating data from many sources, building or supporting apps across large user communities, understanding the technical architectures to bringing these systems into being, and creating user communities for sharing and using information. I believe strongly that geospatial professionals (and I include surveyors in this category) have an increasingly important role to play in data curation and management, data integration, and applications in various kinds of settings, particularly with the emergence of Big Data processing environments. You and Esri have key roles in the growth of GIS, and you’ve had a unique position from which to observe this geospatial boom—hopefully you are pleased with the trajectory. But would you have any “tough love” advice for the geospatial community? Is there something that many of us are overlooking or just plain “getting wrong”? The geospatial community is highly diverse with many professional and business as well as public-sector interests. Our core users (users who apply our software to geocentric activities) are now in the millions and growing. It is this diversity that makes this field so very interesting. My message to this community is that good friendship is most important. We need to learn how to better collaborate and communicate rather than set up walls or barriers to sharing, which often happens with all sorts of professional and organizational communities (my data vs. your data and my system vs. your system). We need to look at how we can integrate multiple types of basic and thematic information and create shared services and workable solutions to solve the big problems that are challenging us everywhere. This breaking down of the barriers pertains to data sharing and integration. It also pertains to application collaboration and integrations of workflows. I frankly am very encouraged in this respect because the new web GIS pattern is providing a whole new way to do this and is essential for bringing all our disciplines together. Given this new pattern, I see not only growth occurring, I see the web GIS pattern enabling multiple orders of growth. The web GIS platform represents the emergence of a whole new technology pattern with apps on personal devices. The combination of cloud computing, device-based apps, live connectivity to datasets and services everywhere is going to dramatically extend the reach of geospatial into virtually everything humans do. This is not simply a vision; it’s now here. This needs to be both understood and embraced by both the survey community and the geospatial community at large. Where do you see the future going? Esri has made a major commitment to this web GIS platform (including cloud-based GIS services). This is not only allowing our users to extend their reach across their organizations and providing new ways for sharing and leveraging their work; it is also changing our relationships with other geospatial technology providers. Some of our traditional competitors are beginning to work more collaboratively, facilitated by the web services and the web GIS platform. This is also changing the way that Esri is able to partner and support our users. We are entering into many new partnerships with companies that are choosing to leverage our work rather than build their own platform. Looking ahead, we will continue to serve our users. This is why we exist. We also aspire to create an open and global geospatial platform that helps our users create, share, and leverage each other’s data and services. I like to think of this as an ecosystem and nervous system for our planet. Surveyors and the technology they use are a major part of this ecosystem. Clearly the challenges that our collective organizations are facing at global scales—population growth, global climate change, and declining natural resources—will challenge geospatial professionals enormously, and we will all have a large role to play.